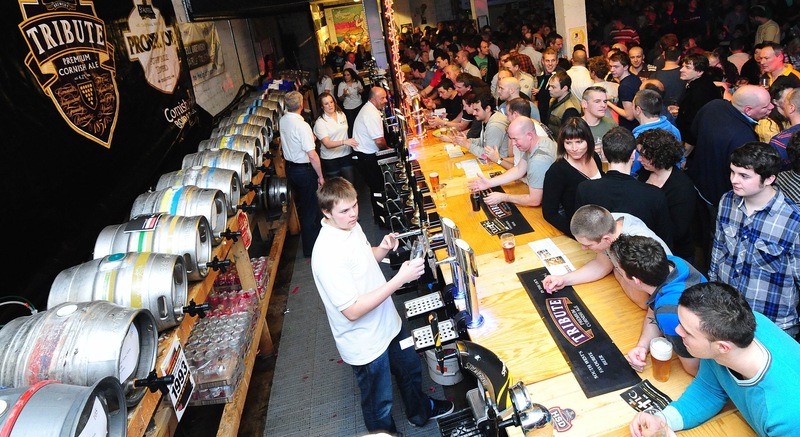 This Saturday, 23rd November, is the 15th annual Celtic Beer Festival. 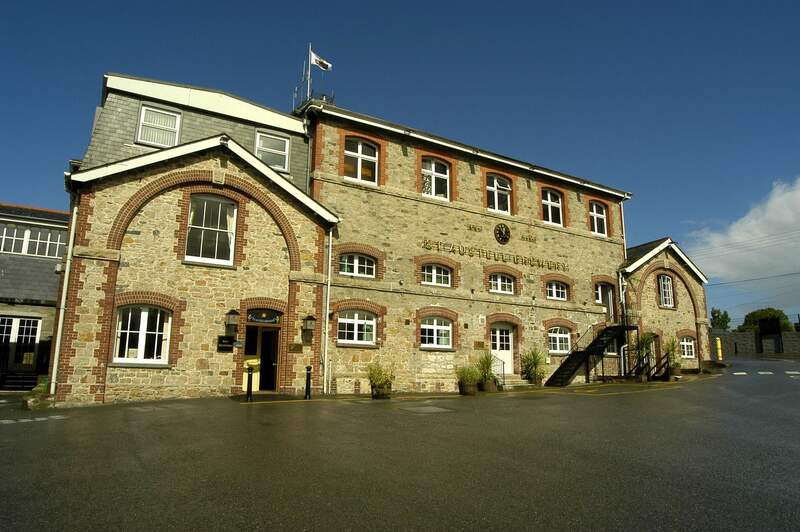 It’s held in the cellars at St Austell Brewery – with the added benefit that the brewery is almost right next door to the town’s train station. It’ll be my first time at the festival having missed it last year through fear of being stranded during those hideous floods. The forecast for this weekend is cold but sunny – and that’s all I’m saying! The festival is set to feature more than 130 beers with more than 30 of those brewed by St Austell especially for the festival. Personally I am already nearly weeing with excitement at the prospect of Proper Black (6%) in cask – even though it’s not a new beer. Then there’s Bergamotley Cru – great name! – a 4.5% IPA brewed with Bergamot Orange fruit and I’m also keen to try the Queen’s ‘Mild and see how it compares with rare St Austell treat Black Prince (4%). You’ll find all the above on the new Cornwall Brewers Alliance Bar which – Ronseal style – features beers from members of the recently-formed CBA. I’ll also be looking out for offerings from Lizard Ales, Rebel Brewing Co and, one of Cornwall’s oldest breweries, The Blue Anchor Brewery. 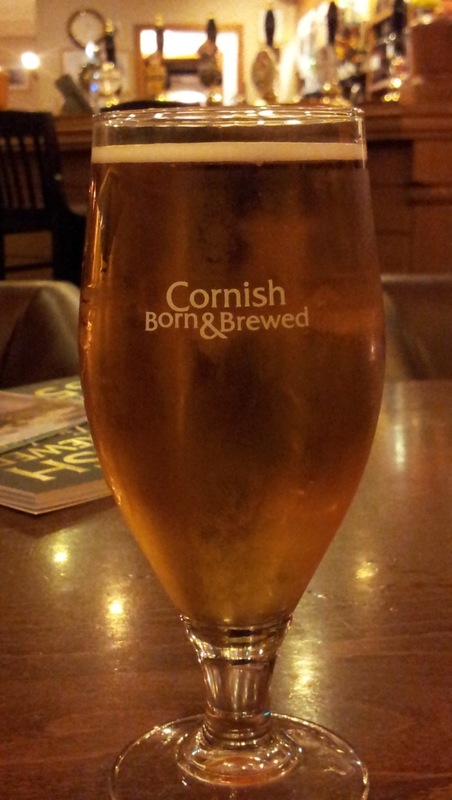 There are one or two surprising – in an odd way – beers on the other bars such as Carlsberg (really!) and Guinness. Unless I’ve missed something (as in they are somehow different/limited edition and not the beers you’d expect) this seems a strange addition to an otherwise interesting beer list. On The Bottom Bar, I’m going to be looking out for SKA Brewing’s Modus Hoperandi (6.8%) – a well known and highly spoken of IPA from Colorado and much closer to home I have high hopes for Otter Brewery Witch – a 5% dark ruby ale. In the Old Rum Store I’ll be beating a path to try Fullers Black Cab Stout (4.2%) in cask and also trying a drop of Forge Brewery Hawkers – a 4.6% ruby ale from north Devon. Suffice to say that drinkers at the 15th annual Celtic Beer Festival look as though they’re going to be spoilt for choice. You’ll find the full Celtic Beer Festival beer list – so you can make a list of your target beers – here. Next Come try the Ides of Märzen! Sounds like a good day. I’m a big St Austell Brewery fan and I’m sorry I can’t make it there this Saturday. The brewery tour is also worth a go (but not when there are 130 beers to get through, of course). I will be at a new brewery launch event not too far away in Devon (http://lioncraftbrewery.com/). Okay, so they have only got 6 beers on offer, but it should still be a good day out and it’s always good to have a new brewery starting up. The more the merrier. Or, the more there are, the merrier I am. One of the two. I have plans to visit the brewery as I probably won’t be back in time for the launch on Sat. Six beers eh? That’s actually quite impressive. Enjoy!